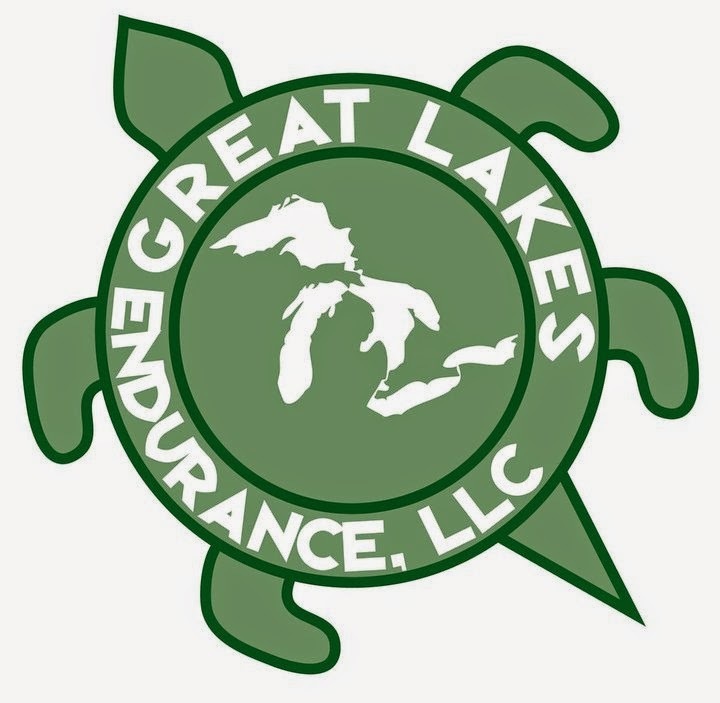 DETROIT RUNNER....: Help my marathon budget!!! 8 miles on the schedule today.....actually did a little over 9 with my running buddy, T, at Stony Creek Park! I should have run after work yesterday - it was 53 for a high here...in Michigan....in JANUARY!!!! but I really felt I needed the rest day instead. My plan is to drive down on early Saturday morning the weekend of the race and drive back after the race(the hotel has late check out so there's time to shower after --- No, you won't have to smell my 4 hours of running stink for 5 hours in the car ride home. Ha!). If you are going and looking to save a little on gas money/parking, let me know. Plus, it would be great to have some company down and back in the car! I'm not a stalker, just a saver....ask anyone...well except maybe Coach Ken! Haha! I'm sure there are many that are staying the extra day until Monday and then driving back but I'd rather just drive home after on Sunday to save on expenses. 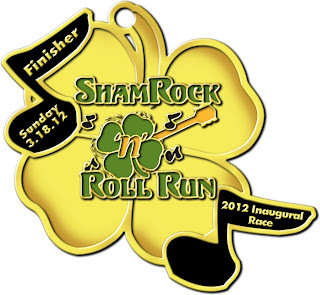 10 weeks and 1 day until the ShamRock 'n' Roll Run in Plymouth!!!! It will be here before you know it. If you have not started training yet, get out there...you can do it!!!! 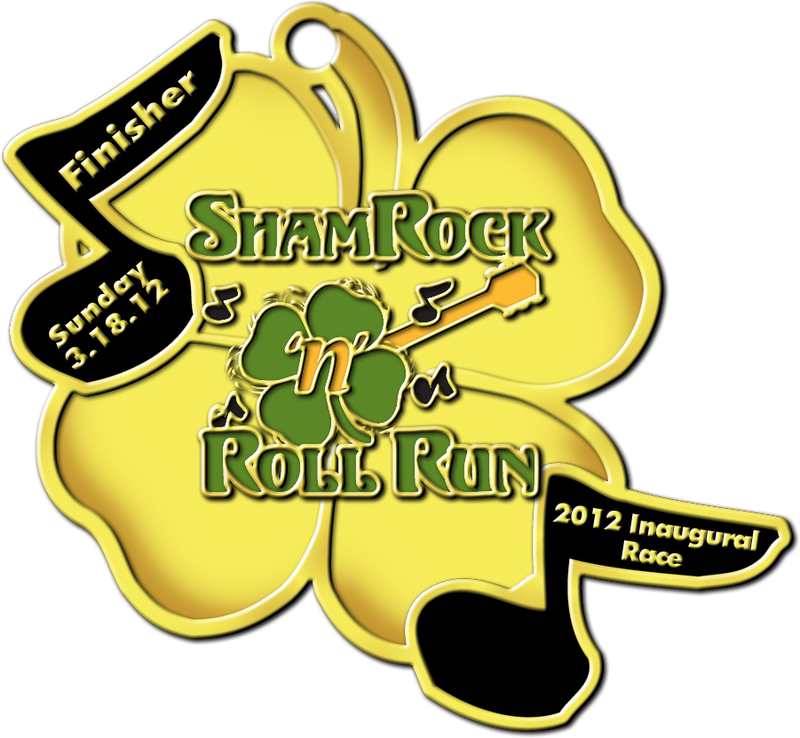 Or register for the 5k and walk it. Click on the link on my blog to the right side. This would be a great race or a great training run for a longer race. You decide! Just get active! I've got my brother signed up for his first 10k race....actually, his first race ever so that will be fun. I also have my Aunt doing the 5k walk and my Dad might join her for that as well. It could be quite the family affair! I'll have some good reviews coming up in the next several weeks along with at least one REALLY GREAT(why am I yelling???) giveaway. Keep checking back for new reviews/giveaways!! Nice miles this morning! The weather has definitely been awesome! 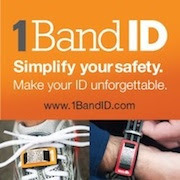 Good luck on finding a race buddy for Cincinnati! I think Leah from Chasing Atlanta is going down for it. Not sure her travel plans, but I know she wants to rock it (win it) so I imagine she is staying longer than you want. Please help MY marathon budget. 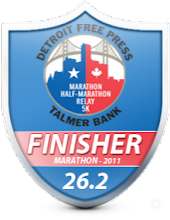 Impulse signing up for Detroit half right now! Can't beat $45 for a half! Here's to hoping it isn't going to totally jack up my schedule! Melissa - Yeah, that is a great deal for the half(full is great price too! 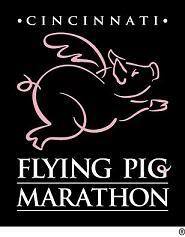 ); I'll be in Grand Rapids that day running the GR marathon! Jeff, can you tell me when the Flying Pig's registration opened ? and what the early reg rate was ? This is on my to do list in the next few years !